The word "nautch" is an Anglicised form of the Hindi/Urdu word nach derived from the Sanskrit nritya through the Prakrit nachcha, meaning dance. 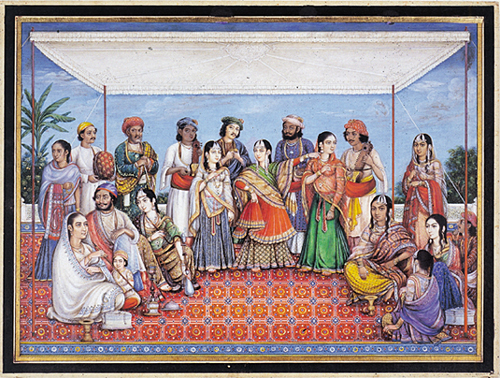 Nautch represented cultural interaction between the native and the early English settlers in India. The mesmerising appeal of Kashmir has charmed people down the ages. Seema Sachdeva writes about this picturesque Valley which has lured poets since time immemorial. As a child, Mohammed Rafi spent hours listening to a fakir sing folk songs in his village Kotla Sultan Singh (now in Pakistan). It was this fakir who aroused in Rafi a passion for music. Impressed by Rafi’s talent, music director Shyam Sunder asked him to sing Soniye ni heeriye ni teri yaad ney bada tarpaya for the film Gul Baloch in 1942.